Sumayyah Meehan: DON’T cross the path of a black cat! Break a mirror and you’ve got seven years of bad luck! See a black crow? You’re simply doomed! Don’t step on a crack or you’ll break your mother’s back! All of these are superstitions, or Tiyarah in Arabic, that are steeped in mythology and passed on throughout each generation. 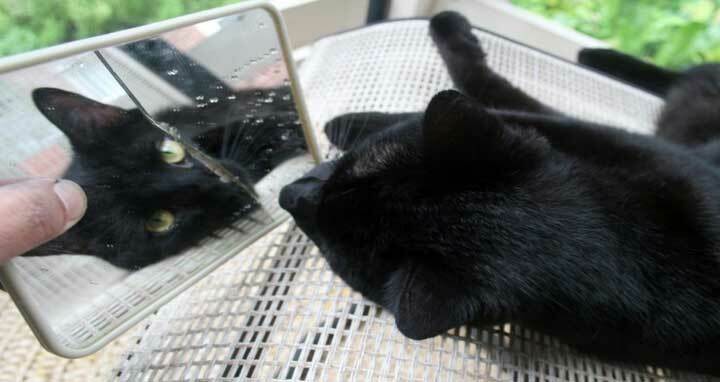 Many people believe in superstitions so much that they alter their plans or behaviour in order to avoid what they call, “bad luck”. I witnessed this myself, first hand, as I was growing up. My grandmother was very superstitious. Her kitchen floor was always covered in salt because when she cooked she would add a pinch to the pot and throw some over her shoulder for “good luck”. She would actually cross the street and walk an extra block just to avoid the path of a black cat or go out of her way to get around an open ladder so that she would not have to pass under it. My grandmother did all of this for the sake of good fortune and the avoidance of danger. Similar superstitions existed during the lifetime of the Prophet Muhammad (pbuh). The pagan Arabs were especially steeped in superstitions related to birds. They believed seeing certain birds at certain times were good omens and seeing them at other times were bad omens. The pagan Arabs lived and often died as a result of their superstitious beliefs not because the superstitions had any power but rather due to their own ignorance. Belief in superstitions is considered to be a grave act of shirk, or ascribing partners to Allah, which is the one and only sin that Allah Almighty will not forgive. This verse clearly shows that Allah is in command of the birds as well as all of Creation. Allah decides where birds fly or roost. The flight of birds is not dependant upon where good luck or bad luck resides. Ignoring superstitions will not harm us in the very least. In fact, by not engaging in shirk we are more likely to please Allah which might actually save us from what we feared in the first place. On the other hand, the one who obeys the devil and their superstitions is more likely to fall right into the disaster they were so keen to avoid! Poetic justice perhaps? However, even if we avoid the belief in superstitions completely bad things may still happen to us. That does not mean the superstitions were correct rather it is in the timing of Allah’s Decree. All things that happen to us, good and bad, come at a time appointed by Allah as a means to test who is the best in faith. By not allowing superstitions to guide your life and decisions, you can slam the door right in the devil’s face. Place all of your trust in Allah Almighty who is the Only One deserving of it.